If you're hoping to find one mix design that will work perfectly for every job and every application, there's no such thing, says Alan Sparkman, executive director of the Tennessee Concrete Association. However, with some basic knowledge and good communication with your supplier, you can get the perfect mix for each job, he maintains. 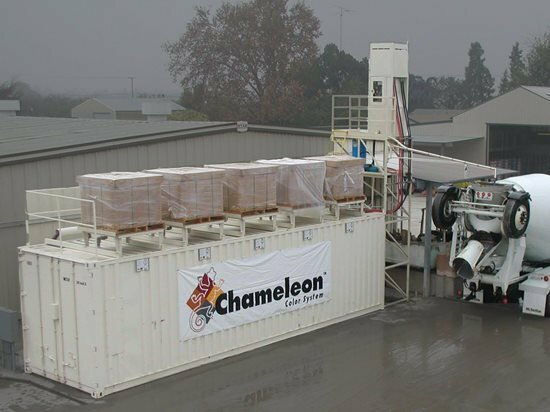 Determine What You Need the Mix to DoOnce you choose a ready mix supplier, it's your responsibility to communicate your performance requirements for the concrete, both in its plastic and hardened states. Only then can the supplier work with you to provide a mix that will achieve the desired results. When placing concrete on a large stamped concrete project, for example, you may need to slow the setting time to permit enough time for stamping. Your supplier also needs to know the anticipated exposure and service conditions of the concrete once it's in place, so he can supply you with a material strong enough for the application and advise you on admixtures to use to enhance concrete performance, such as water reducers and air entrainers. Other ingredients you might want to include in your mix recipe include fiber reinforcement (for slabs on grade), integral colors, decorative aggregates, or special-purpose admixtures such as set accelerators or corrosion inhibitors. "Today's concrete can be engineered to meet almost any requirement, no matter how far out you might think it is," says Sparkman. "The key is to communicate your needs to your supplier so he can help you design a solution tailored to your situation." Understand Mix Design Basics, but Leave the Proportioning Up to the Experts"You should know the fundamentals of concrete mix design, but it's best to leave the exact proportions to your ready mix producer," says Sparkman. Then if your supplier gets the formula wrong, you will at least have a basic understanding of how the components in a mix interact so you can help troubleshoot the problem. A reputable supplier will welcome your feedback and modify the mix to meet your needs. 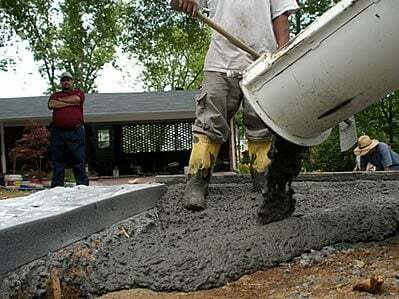 In some cases, even slight modifications can make a big difference in how the concrete performs. An indispensable reference book on concrete mix design is Design and Control of Concrete Mixtures, published by the Portland Cement Association (available at www.cement.org). Figure Out How Much Concrete You NeedOnce you work with your supplier to come up with the best mix for your application, the next step is to order the right amount. Errors on the plus or minus side can be equally difficult to remedy. Buying too much concrete is not only a waste of money, but also necessitates finding an environmentally safe way to dispose of the excess. If you're too conservative with your estimate and don't buy enough concrete, you'll be forced to put the project on hold until an emergency delivery arrives - if you're lucky enough to get one on short notice. NRMCA recommends tacking an extra 4% to 10% onto your total estimate to allow for possible errors as well as spillage or over-excavation. Ready mixed concrete is usually sold by the cubic yard, with the typical truck mixer holding 9 to 11 cubic yards of material. Determining how many yards you need for square or rectangular slabs is fairly straightforward (you can use this concrete calculator to help you do the math). Figuring out how much concrete you need for irregular slab shapes is trickier. When in doubt, ask your ready mix supplier to help you with the calculations. Use a Local Supplier to Save Hauling CostsAs you might expect, you'll generally pay higher transportation costs the farther the ready mix plant is from your work site. But that's not the only reason to go local, whenever possible. The farther the truck has to travel, the greater the chance of it arriving late to the job. If you're on a remote jobsite or prefer to use a supplier across town, avoid scheduling deliveries during rush hour and recommend alternate routes in case of road construction or traffic congestion.